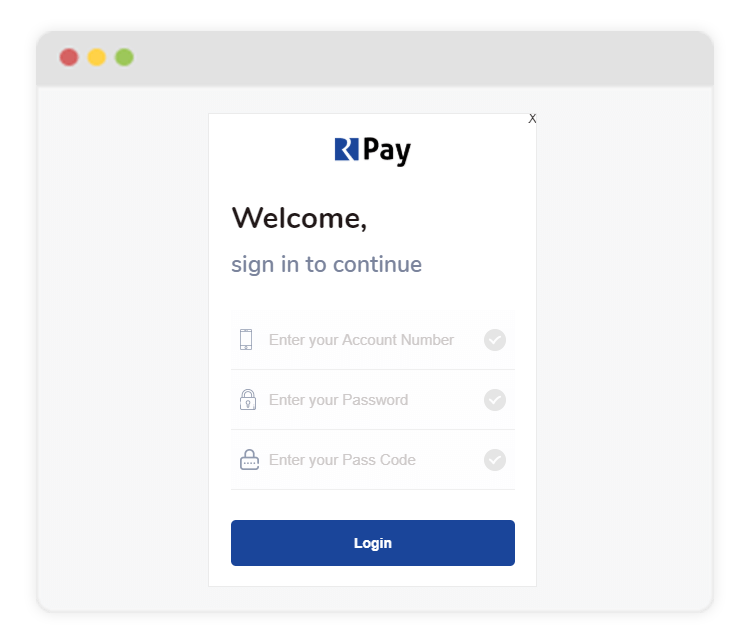 Steps to integrate RPay to your website. Just copy this HTML snippets and paste it before closing of <body> tag. Just copy the below platform tag and place it after the above code (Step 1). Add this class (RPayApi) in tag which you need for Payment Integration. For Example, refer the code below. Your Html after the above steps are done. After Successful Integration, it shows like this.